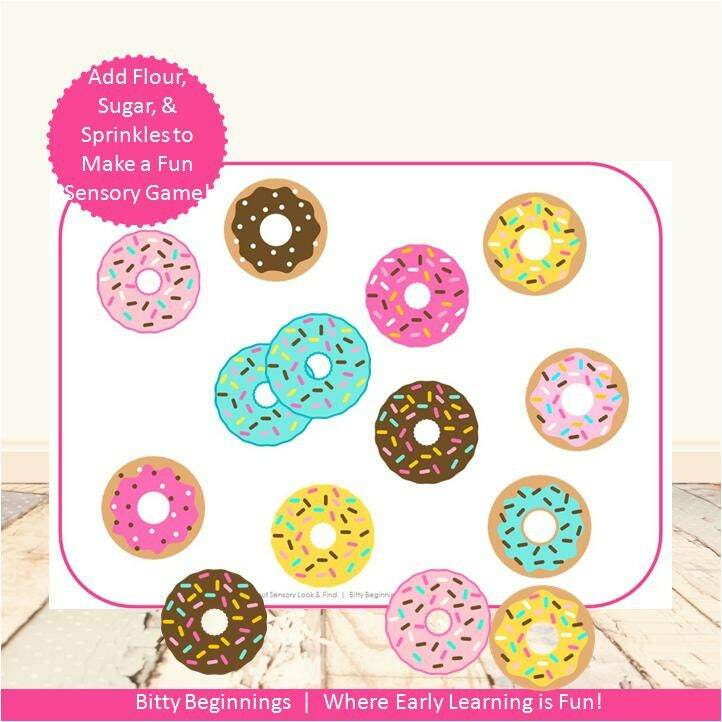 Grab your baking hat, and step into the kitchen to whip up some tasty donuts with your little one(s) while introducing or reinforcing colors with our "Donut Sensory Look & Find." Little ones will have fun matching cute donuts while playing & discovering in a coordinating sensory bin. Step-by-step instructions are included - from the prep of printing and laminating to assembling and preparing the sensory bin.